RVs can overheat or break down just like any other type of vehicle. When you think about how an RV trailer is also a house on the road, getting insurance is important. 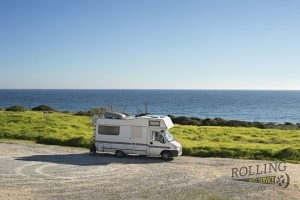 Most insurance policies for motor homes are affordable. If you get a travel trailer, make sure that your car is strong enough to pull your trailer, too. Motor homes are self-propelled, but you have to consider the costs of gas, insurance, and emergencies like breakdowns. Everyone wants to travel, but do you actually have the time, or will the RV trailer just sit in your driveway? The more you use it, the quicker it pays for itself and becomes an investment. It’s a known fact that RVs are gas guzzlers. The average motor home gets about 10 MPG. that is seriously something to consider, especially with the rising cost of diesel prices. While a monthly gas bill for a car could cost you $150, a gas bill for an RV trailer could be a minimum of $450. One night at a hotel costs $100. One night in an RV park costs $30. An entire trip with an RV trailer could equal two nights in a hotel. You will have to factor in buying groceries which can raise your expenses a little, but is still cheaper than eating out every day. 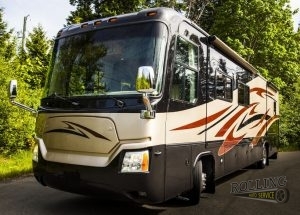 If you need RV trailer maintenance in VeniceVenice, FL, call Rolling Auto Service at 941-493-6511 today. Posted in Uncategorized on July 12, 2018 at 6:20 pm by Rolling Auto Service. Changing your oil on your vehicle is the most important thing you can do. It may seem like something small, but the oil in your car is like blood in humans; if it does not have it, it will not work. This is something you will need to pay attention to regularly. When your vehicle has a light come on that says low oil, it is time to bring it in right away. Letting the oil get low is not a good idea. 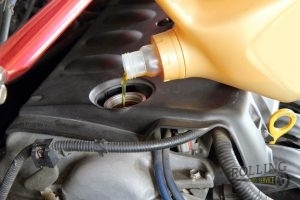 Once the oil gets really low, the dirt and old oil are what is left and that can actually cause damage to your engine. If you want to keep your car running as long as you possibly can, you will need to make sure that this is done and it is done regularly. Also, the more you drive, the more often you have to change your oil. It is not always a set amount of time before your next oil change, it is based off of the mileage on your vehicle. There are several major reasons why you need to get an oil change, one of them being that your car cannot run without oil. If your vehicle does run out of oil, it will lock up the engine and you will not be able to drive anymore. Not only is this insanely expensive to fix, but an oil change usually is not that expensive so there is no reason you will need to have this happen. When you have clean oil and filters in your car, it also has better gas mileage as well. When you need help with your vehicle, call Rolling Auto Service at 941-493-6511. Posted in Uncategorized on June 11, 2018 at 8:40 pm by Rolling Auto Service. New tires are something nobody wants to have to buy. They are expensive and inconvenient to have to go get. However, they are something that you need to pay attention to because driving on old tires or worn out tires is very dangerous. 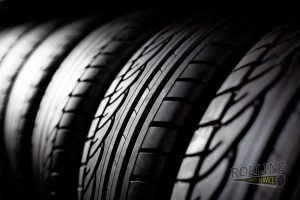 If you have been wondering lately if it is time to get new tires or not, here are a few simple ways you can tell if this is a good time to go ahead and bite the bullet on new tires for your vehicle. Age – If you have had your tires on for some time, it is probably time to sit down and really think how long you have had them. If it has been more than 6 years, even if you don’t drive very often, you should consider getting new ones. Just like anything else, over time, things start to wear down and not work as well. The same goes for tires. Tread – A great trick that you can use to check your tread is to take a penny and put it heads down into the tread of the tire. If you can see the top of Abraham Lincoln’s head, it is time to get a new tire. This means that your tread is too worn and is starting to become dangerous. Nails – If you look at your tire and see damage like a nail stuck it in, it is best to just go get a new tire and call it a day. There is no reason that you should be driving around with a nail in your tire, it is not worth the danger that you are putting yourself in. If you need help with any of these things or have a question about your vehicle, call Rolling Auto Service at (941) 493-6511. Posted in Uncategorized on April 3, 2018 at 9:23 pm by Rolling Auto Service. What's the Difference Between Disc and Drum Brakes? 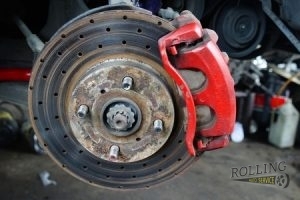 We Offer Expert Services for Both Types of Braking System to Keep Your Car Stopping Smoothly. There are few systems in your car that are as important as the braking system. This system protects you and all the other drivers on the road from serious accidents and allows you to stop your car in your driveway when you get home after work. For this reason, it is very important for you to keep your brakes properly maintained. The staff a Rolling Auto Service is always happy to help with all your brake repair needs. There are two main types of braking systems: disc brakes and drum brakes. Both systems use friction to slow your car down, but each one applies that friction differently. Some cars have disc braking in the front and drum braking in the back. Here are some important differences between these two systems. Drum braking is common on older cars and trucks. This system has a drum with brake shoes inside. This drum rotates along the inside of the wheel. When the brake peddle is applied, the shoes are forced against the sides of the drum to slow the rotation. As the drum slows, so does the rotation of your tire. Disc brakes have a rotor that spins on the inside of the wheel. A caliper holds the brake pads above the rotor. When you step on the brake, the caliper squeezes the pad against the rotor, which creates friction and slows the rotation of your wheels. If you need someone to help you keep your brakes working in excellent condition, contact our office at 941-493-6511 and schedule an appointment today. We offer professional services for both types of braking systems. Posted in Uncategorized on March 1, 2018 at 9:23 pm by Rolling Auto Service. It’s no secret that taking care of a vehicle is a lot of hard work. There are plenty of maintenance bits to be aware of, and some are more expensive than others. Today we will go over 3 easy and affordable maintenance procedures you can do with ease. Is Your Car In Top Condition? Your windshield wipers are designed to whisk water off of your windshield so that you can see in the rain. However, the wipers aren’t designed to last forever. Once a month, take a quick glance at the wipers. IF they appear brittle or ares tarting to crack, be sure to replace them ASAP! Your headlights should be clear and bright at all times. Your lights are designed to help you see, as well as help people see you, so their good condition is a top priority. If your lights are starting to look dim, or if they have fogged over, clean the lenses, or consider replacing the lights with halogen or LED bulbs. Your tires are another essential part of your car that should be checked frequently. Be sure to check your tire pressure frequently to make sure it is at optimal levels. Additionally, you’ll want to keep an eye on your tires for signs of wear and tear. Different levels of wear and tear can affect your vehicle in different ways, so understanding what to look for is a great skill. 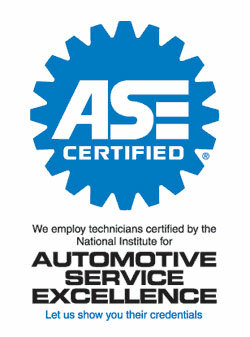 If you need help with any of your car maintenance needs, be sure to visit us, or give us a call at 941-493-6511! Posted in Uncategorized on March 1, 2018 at 3:24 pm by Rolling Auto Service. Most people have seen their check engine light turn on. Most people have also had it checked only to discover it was something simple that they could have handled alone. Sometimes, that check engine light seems downright useless. It’s not, however. No matter how many people have had this experience, the engine light exists to keep your car and you safe. So, don’t ignore that check engine light. 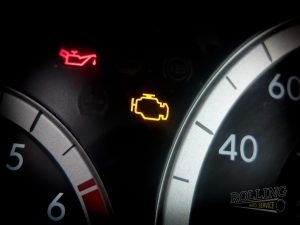 Some things that might trigger your engine light could be small and easily fixed. For example, if your gas cap is loose, your light will come on. That’s because an open gas cap could leak emissions, which isn’t safe. Of course, you can take care of this alone. When your check engine light turns on, check your car manual to find out what might cause it, and if you can take care of it yourself. Or, you could ask your mechanic to show you how to handle some of the smaller issues. Of course, if you can’t handle it alone, or your check engine light triggers again, you should see your mechanic. The light is also triggered by a number of other things that could be serious. Hopefully, you can avoid these problems by taking excellent care of your car. However, you can’t always be sure of when trouble with strike and you need your catalytic converter fixed, or something else that could be a real problem. No matter how irritating that check engine light is, don’t ignore it. Take care of it, whether you do it yourself, or have a mechanic fix it. Fortunately, you don’t have to take your car in if you call Rolling Auto Service in Venice, Florida. We come to you. Call 941-493-6511 today. Posted in Uncategorized on January 30, 2018 at 5:06 pm by Rolling Auto Service. Do You Have A Vehicle Emergency Kit Prepared? While nobody wants to imagine an emergency with their car, it is still a smart idea to prepare for any possibility! Having an emergency kit in your vehicle might be able to help you or someone else in the future. As the old saying goes, it’s better to have it and not need it, than to need it and not have it! So today we will give you a few tips for starting your very own emergency kit for your vehicle. Road flares are essential if you need to remain seen, particularly on the side of the road. Additionally, if your car dies, you may not be able to use the heater, which is why it is important to have a blanket, in case you’re waiting for help for a while. Bottled water is essential to remain hydrated, and filling snacks such as nuts or trail mix can hold you over while you wait for help to arrive. If you live in an area with snow, warm socks are also essential, particularly if you were trudging around in slushy snow while checking out your vehicle. The first aid kit is self explanatory, and every vehicle owner can benefit from having one on board. We hope these tips come in handy while you create your vehicle emergency kit! If you’d like to take some preventative action against vehicle emergencies, give our team a call today at 941-544-0469 for fast and affordable repairs! Posted in Uncategorized on December 28, 2017 at 5:22 pm by Rolling Auto Service. Good Drivers Always Maintain Attention on the Road Ahead. Have you ever wondered what, exactly, makes for a great driver? Certain regularly practiced good driver habits separate the best drivers from the worst, and can also extend the life of a vehicle. If you want to reinvent yourself as a master of the road, follow these strategies. The most obvious sign of a good driver appears as their adherence to the speed limit. Speeding not only raises the threat of tickets, but also endangers the safety of the driver and other motorists. If you remain unsure of the speed limit in a given area, 30 mph represents the standard for any road with street lights. We live in an age rife with distractions. From stereos to phone calls, text messages to surfing the web, plenty of opportunities exist to ignore the road. Though most people profess awareness of the danger in these activities, many motorists cannot resist the temptation. A matter may also seem pressing, in need of an immediate response. In reality, you should always stay tightly focused on the road, regardless of any distractions. If this remains difficult, you can always place your phone out of reach in the glove box. Though long trips can create the impulse to simply “get there”, patience has rewards for a driver. Driver fatigue counts as a predominant factor in many accidents. A tired driver will also more likely miss speed limit and other road signs. A short break every couple of hours should prove sufficient to recharge your batteries. Additionally, if you find yourself tired after a day of driving, do not hesitate to find a hotel. At Rolling Auto Service, we know a thing or two about driving. We respect good driver habits, and always strive to practice them ourselves. For any repair or service needs in Venice, FL, give us a call today at 941-493-6511. Posted in Uncategorized on November 21, 2017 at 5:50 pm by Rolling Auto Service. A Few Simple Strategies Can Leave Your Car Well Prepared for the Road Ahead. 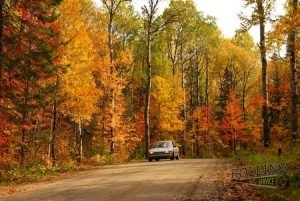 Fall arrives as a definite change from summer, with cooler temperatures and less demand on vehicles. Just because you will take fewer trips does not mean you should fail to service your car, however. Before the calendar turns to winter, make sure you’ve attended to these car fall preparation tips. Summer enacts major wear on a vehicle. Between the heat, traffic, and lengthy trips, there’s a good chance that your car needs some basic service. At the very least, have your local mechanic check the status of your belts, fluids, and hoses. A little service can act as preventative maintenance, and spare you the major car troubles that can characterize the end of summer. Make sure to pay special attention to the level of your antifreeze. Though not critical throughout the summer, fall’s descending temperatures can provide an ordeal for the ill-prepared car. Since it regulates your car’s engine, adequate antifreeze serves as an indispensable component of a well-maintained car. Summer places high demands on your tires. For fall, you’ll want to check to maintain adequate tire pressure. Too little places even more wear on your tires, which may have already suffered immensely. Rotation represents another practice you should wisely pursue, as it evens out wear and lessens the chance of an unexpected blowout. 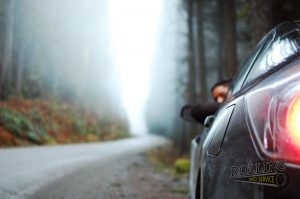 At Rolling Auto Service, we can provide wonderfully for car fall preparation in Venice, FL. For any questions or to schedule service, simply give us a call at 941-493-6511. We treat every customer with the respect they deserve, and treat every vehicle as if it were our own. Posted in Uncategorized on October 18, 2017 at 4:41 pm by Rolling Auto Service.